If you are a teacher, well I take my hat off to you. What an enormously important and powerful job you do. I loved my school days. I know not everyone did, but I think central to my enjoyment was being taught by passionate and inspirational people. When I go to pick up B at the end of a long school day I am incredibly impressed by all the effort and dedication it takes to lead and teach primary school children. My working day will have finished and many teachers and teaching assistants are still there preparing for the next day’s lessons. At the end of a whole school year I feel so overwhelmed with gratitude for all the care we receive from staff at school. I am sure most of staff would rather I bought them huge bottles of fizz. But love in our house is mostly expressed through making, so I am afraid the fizz needs to be combined with a little bit of yarny tat. As the years pass, B has definite opinions on the ‘thank-you’ gifts he would like to give. 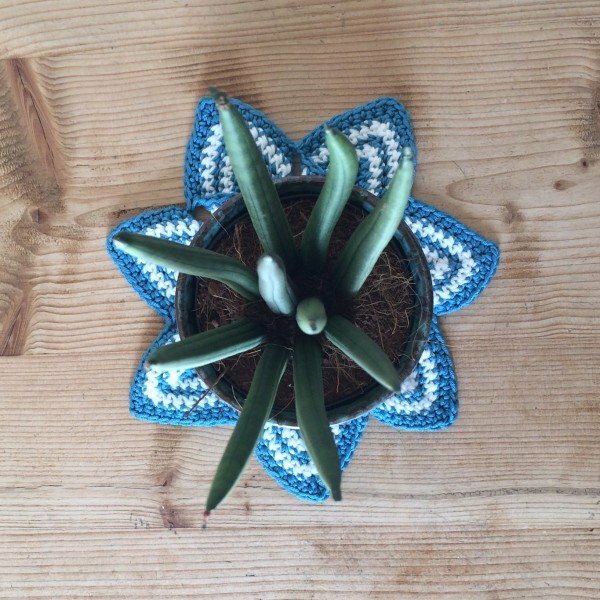 This year we combined B’s love of succulents with a few crochet star flower coasters. 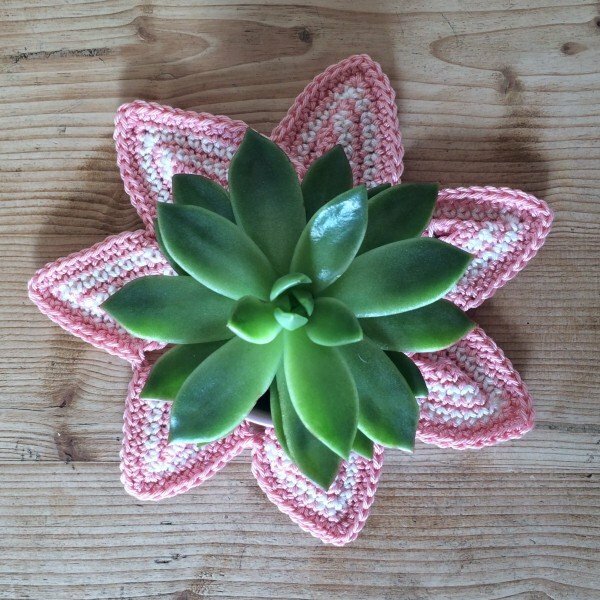 The shape of this design really reminded me of the leaves of Echeveria agavoides. In the last few weeks my little fingers have been furiously making different colour versions of this pattern. 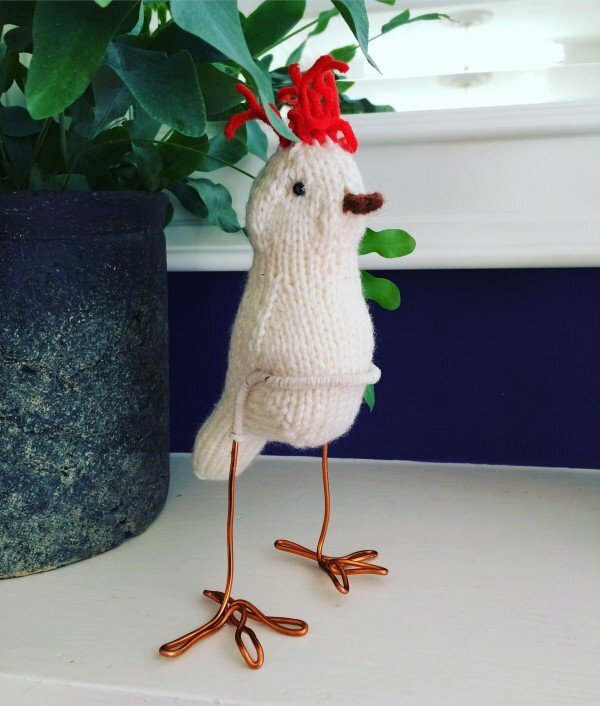 You can download via the Ravelry website. For one teacher, who has taught B about birds and wildlife, I thought it might be a bit of fun to make him his own ‘Lesser Spotted Varnam’. Inspired by the bird making workshop with Arne and Carlos, I whipped up a winged version of my own son. 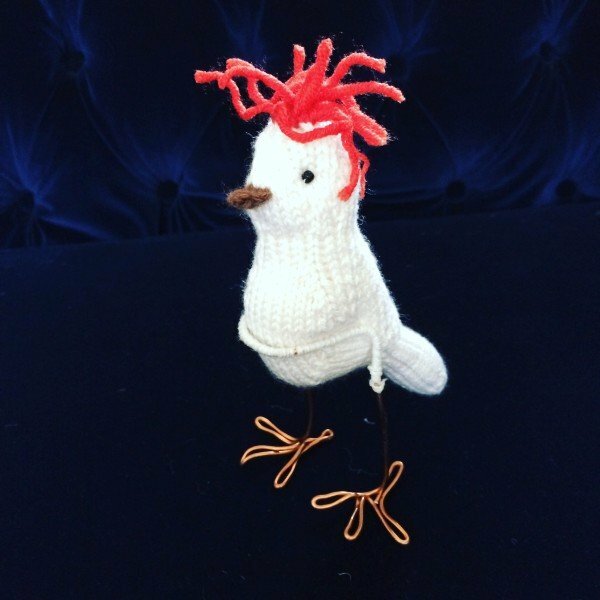 Topped with a flash of auburn hair, this cheeky chappy has much the same character than our 11 year old. 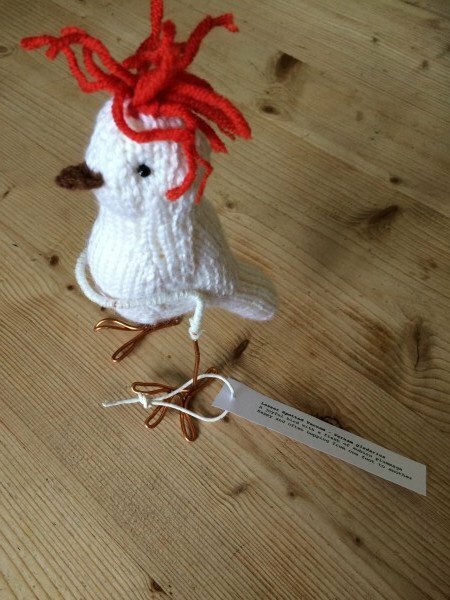 The inner curator couldn’t help fashioning a specimen label to finish off the little gift. I know, I know what a crazy mad thing to do. And yes, can I not find better things to do? Well probably yes, but it amused both B and me and the thanks for his teachers was heartfelt and certainly personal. Now…the washing up….. Wonderful gifts!! Really perfect, those plants and the cute bird! By the way; you’re totally right, I too feel nothing but admiration for teachers.